Buying a home is stressful, especially when it’s your first time. There are so many questions bound to arise, and so many things to consider. First-time home buyers with bad credit will have even more stress and steps on top of what is already expected. If you have your heart set on a new house, but have bad credit, you’re not out of luck. Here’s what you should do. If you have low credit – or no credit – there are people who will work with you. It’s possible that you will have to contact several lenders before you find the right one. Most lenders require that you have at least a 620 credit score before agreeing to work with you. However, once you find that golden lender, it will help immensely. FHA loans are very popular among first-time home buyers. With these loans, you can qualify with a lower score. The required score here is 580, with a 3.5% downpayment. You’ll also have to show stable employment of at least two years with the same company or in the same line of work. Verifiable income is also required through W2s, tax returns, paycheck stubs, and bank accounts. With FHA loans, you can’t have any late payments within the last year, although there are some exceptions. 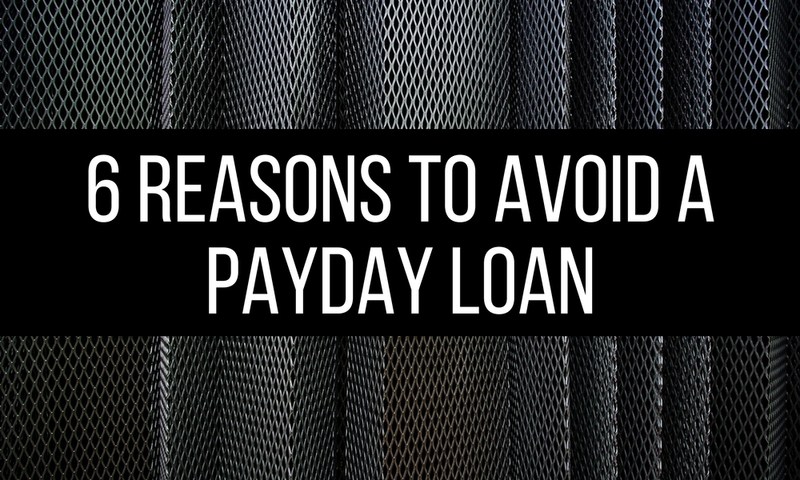 If you have no credit, some lenders may be able to get you a loan. To do this, they’ll use alternate lines of credit, such as utility bills, phone bills, and rent payments. This will establish a positive payment history. You’ll only get this established if you really do have a positive payment history, meaning no late payments in the last year. It’s recommended that you get quotes from at least three lenders. Interest rates and loan fees will vary from lender to lender, so getting multiple quotes will ensure you’re getting the best deal. Don’t worry, all these inquiries won’t hurt your credit. FICO allows a 30-day window for “rate shopping” when inquiries from different sources will only count as one inquiry. Improving your credit score is not only a way to get a better mortgage, but it will also give you peace of mind. We can help you improve your credit in 30 days to help you get on track to getting that loan even faster. Making sure your credit score is at its maximum before submitting your contract will help make the purchasing process easier and will also help you get a better interest rate. 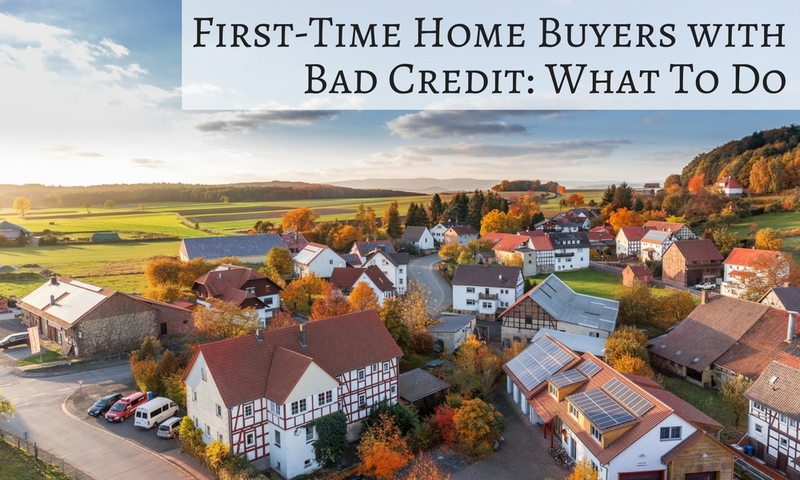 First-time home buyers with bad credit can still get that house they’ve been eyeing. If you have any questions regarding the process or improving your credit, give us a call at 1-866-991-4885. 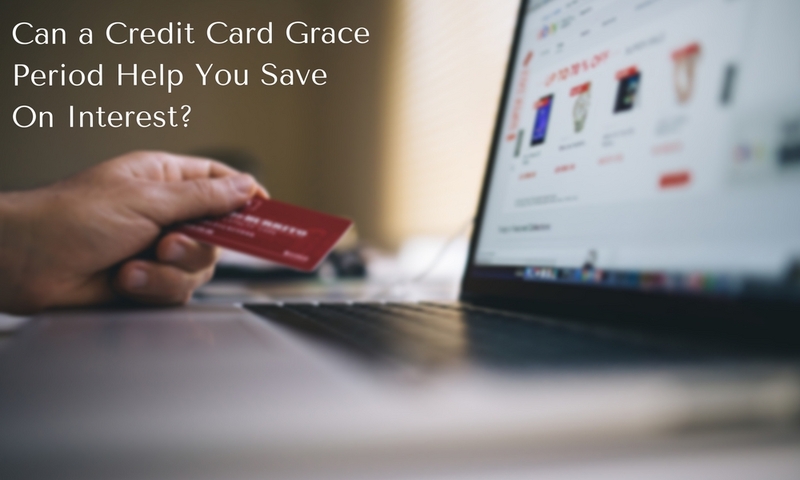 Benefits from credit cards can be really helpful. There’s a lot you have to think about before you jump right into a rewards program. To help you make sure you don’t waste your money on empty promises, here’s what you should consider before getting a credit card with an annual fee. When cards offer amazing rewards, lower interest rates, and better payment options, it means a fee for consumers. In order for these credit card issuers to afford handing out these benefits, they need to make money in other ways. That’s where the annual fees come in. So when you’re looking at a credit card with an annual fee, take a look at what benefits they offer and compare the cost to what you’ll get. Is the annual fee too high for what you’ll be getting? If so, that credit card might not be worth it. Will you use the benefits? If your’e paying the annual fee but you’re not taking advantage of the benefits, then the annual fee is a waste of money. It’s actually not unusual to see people paying an annual fee for a credit card and not take advantage of the rewards available to them. Are the benefits easy to use? If you find yourself jumping through a bunch of hoops to receive your rewards, they’re really not that valuable. When checking out credit cards, look for a link to the rewards page on their site. It should be completely clear how many points you have and what you can get with those points. If you need to talk to a customer service rep, then it should be easy to find their number. Upon calling them, you should get straight through to a real person and get clear responses to all of your questions. Sure, it might look like a great deal on the surface, but once you start digging deeper, you could find that it’s actually not. Watch out for red flags like having to pay an extra fee to actually get your rewards. Some cash back cards will make you spend a certain amount of money before you can receive your check. Is this the best deal out there? Compare different rewards programs. Call customer service and ask them for more information if you don’t understand something. A lot of cards don’t offer a lot of information about their rewards programs, so it’s important to know what you’re getting into. If you already have a card, check every so often to make sure your benefits are still there. You don’t want to suddenly lose benefits you’ve always taken advantage of. 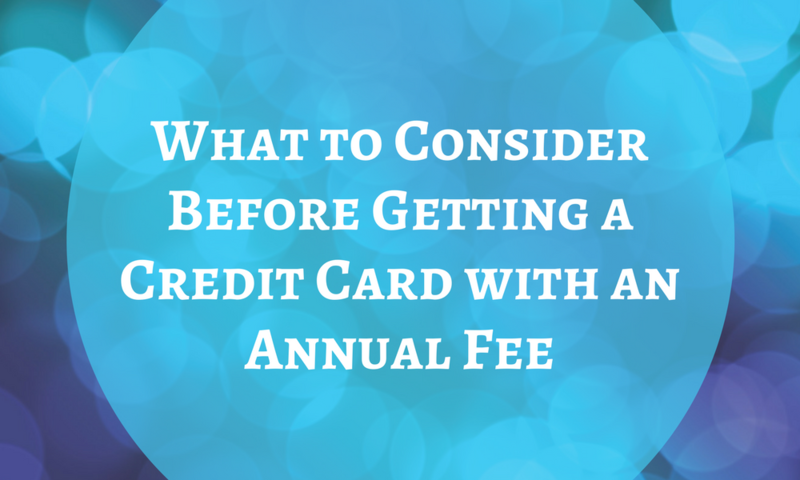 And don’t be afraid to ask ask your card issuer to waive the annual fee. The worst thing they can say is no, so it doesn’t hurt to ask. Who knows, it might pay off and they’ll waive the fee for the year. If you have any questions regarding what to consider before getting a credit card with an annual fee, give us a call at 1-866-991-488. We’re here to help! If you’re in the market for car insurance, you usually want to find the lowest premium possible. Because your credit score is so important to determining every financial step you can take, it’s no surprise that it factors in here. Your credit score and car insurance premium will go hand-in-hand when it comes time for insurers to figure out your cost of coverage. 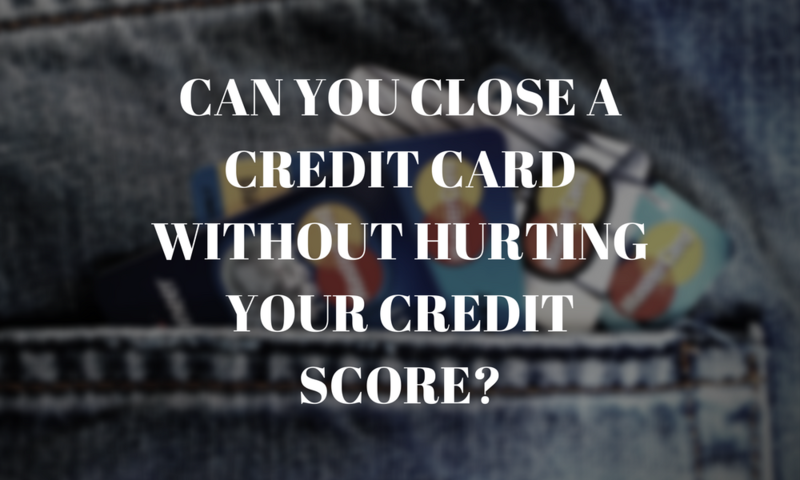 Does your credit score affect how much you pay for insurance? Yes. Car insurers do look at your credit score to help determine how much you’ll pay for coverage. If your credit isn’t up to par for them, they’ll charge you more for your premium, even if you have no accidents. Your credit score offers a predictive factor that insurers can’t get from things like your driving record, vehicle type, and age. Using your financial history, as well as these other factors, insurers will determine your insurance score. What is your insurance score? Also known as your insurance credit score, it plays a big role in how much you’ll pay for insurance over time. The number determined for you represents how likely it is that you’ll file a claim during the time you’re using coverage from the insurer. The higher your score, the lower your premium. Conversely, the lower your score, the higher your premium will be. 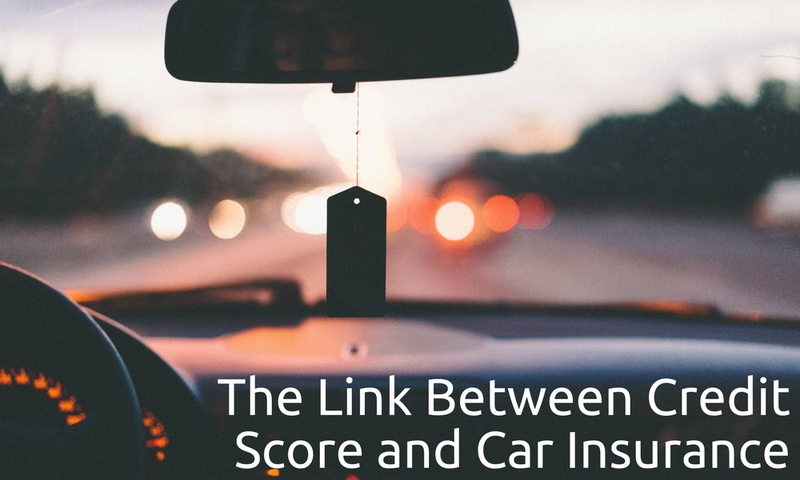 Do you have any questions regarding the link between your credit score and car insurance? Let us know! We’re always here to help, just call 1-866-991-4885.